Posting tub is designed for filing, posting, sorting and distributing. 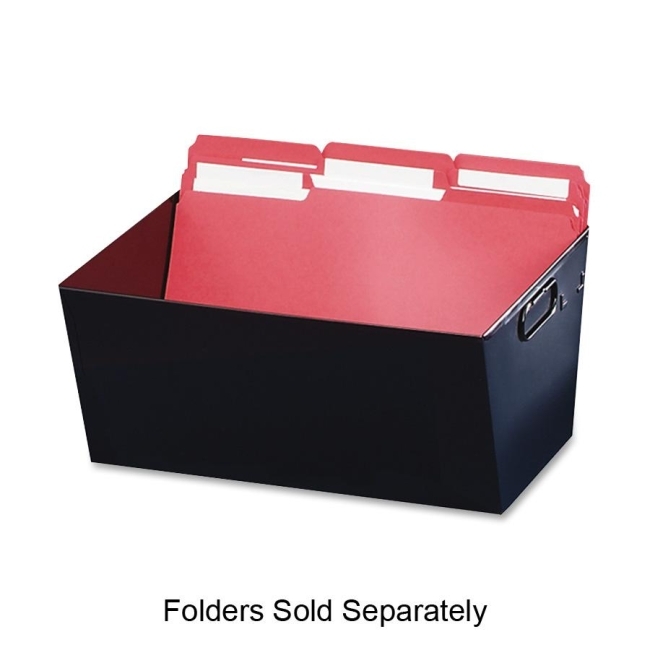 Angled sides make it easy to flip through folders when searching for files. Convenient carrying handles on both sides make transporting easy, even with full, heavy loads. Rubberized, nonmar strip on bottom protects your desktops and countertops when loading files into the posting tub. Durable, heavy-gauge steel construction has a scratch-resistant, chip-resistant finish and withstands heavy loads. Posting tub also has a label holder for easy identification. Posting tub is made with 50 percent recycled material.